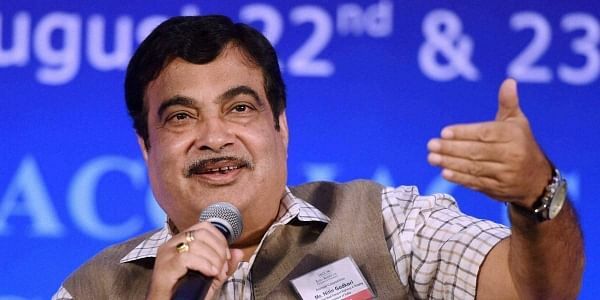 Union minister for road, transport, highways and shipping Nitin Gadkari Monday said that the government will provide an app based platform for small cab drivers. NEW DELHI: Cab aggregators Ola and Uber will soon have toughest competition as the Centre announced they are planning to launch a single mobile app for booking all kind of vehicles car, autos, e-bikes and e-rickshaw. Union minister for road, transport, highways and shipping Nitin Gadkari Monday said that the government will provide an app based platform where anyone even common people who wants to start their cab business can register and run cabs. It will be kind of a comprehensive platform where all kind of vehicles like cars, auto rickshaws, e-rickshaws and e-bikes can be registered for offering ride to passengers. The minister said that discussions are already on with all stakeholders for developing the app and it will be launched soon. It will act as a one stop platform for booking all kinds of vehicles for providing transport facility within cities. Concerns have been raised by users over surge pricing by taxi aggregators like Uber and Ola during peak hours. Issue of cab unavailability and random cancellation by drivers also bothers frequent riders. The Motor Vehicles (Amendment) Bill, 2016 passed by the Lok Sabha has brought taxi aggregators under the law. Under the bill pending in Rajya Sabha, state governments will issue licenses to taxi aggregators as per central government guidelines. Currently, state governments determine guidelines for plying of taxis. There could be cases where state taxi guidelines are at variance with the central guidelines on aggregators.